Bright Club, known as ‘the thinking person’s variety night’, was established in 2009 in London, by Dr Steve Cross, an academic at University College London, in collaboration with comedy promoters, with the idea to combine academic presentations with stand-up comedy, on-stage, in a comedy-club setting (more here). The original Bright Club, rather exclusively, only features performances from UCL staff, but they have helped multiple others set up their own versions in other cities across the UK…such as Niamh, in Belfast. And there’ll even be a Bright Club event at the Edinburgh Fringe festival this summer. So…being someone who impulsively says yes to things and then thinks about whether they’re a good idea (at least, this is the old me, the new me is working on that! ), I agreed to participate in the Bright Club before I even fully understood what it was. Niamh had asked for ‘a light-hearted, humourous talk on how your research relates to the theme…’ (of The City). And I figured I could do light-hearted, no problem, I’m not particularly formal at the best of times. But then I read the 10 commandments of the Bright Club online, and commandment number three (‘everyone has to be funny’) got me a little bit concerned. I reassured myself with the thought that academics aren’t a particularly funny breed of people… They might be funny in a laughing at, geeky sort of a way, or they may incite an exhaled-breath ‘hmmph’ or ‘haa’ during a lecture, but they’re not comedy-style, rip-roaring hilarious, right?! Well, on Sunday night I got up on-stage in the Sunflower Pub in Belfast and I did it – I spoke about my research, light-heartedly, for eight minutes, and people were kind enough to laugh. Admittedly my wonderfully supportive and hearty-laughing husband was the one laughing the loudest, bless him. This is progress, though – he still mocks me with great delight to this day for my ‘pigeon-walk’ entrance onto the stage at the only other presentation he’s seen me do (which was not intended to be funny – I was trying to discreetly pass through the light from the overhead projector, ok?!) But this time he assures me he was laughing with me, not at me! So how did I talk about my (oh so serious) research in a funny way? I ripped the piss out of both myself and the architectural profession at large, of course, which it turns out is very easy to do (just look at architectural illustrator Louis Hellman‘s illustrious career for copious evidence). Add to that a few phallic-shaped buildings for visual amusement and cheap laughs, a couple of bad jokes and a musical intro extracted from Paul Simon’s You Can Call Me Al (see previous post) and that just about sums up my ‘set’. Admittedly the musical intro seemed like a great idea within the privacy of my house, but was actually pretty embarrassing in a pub full of people and a small enough room that I was up on stage standing like a spare part with about 30 seconds of music still to go! 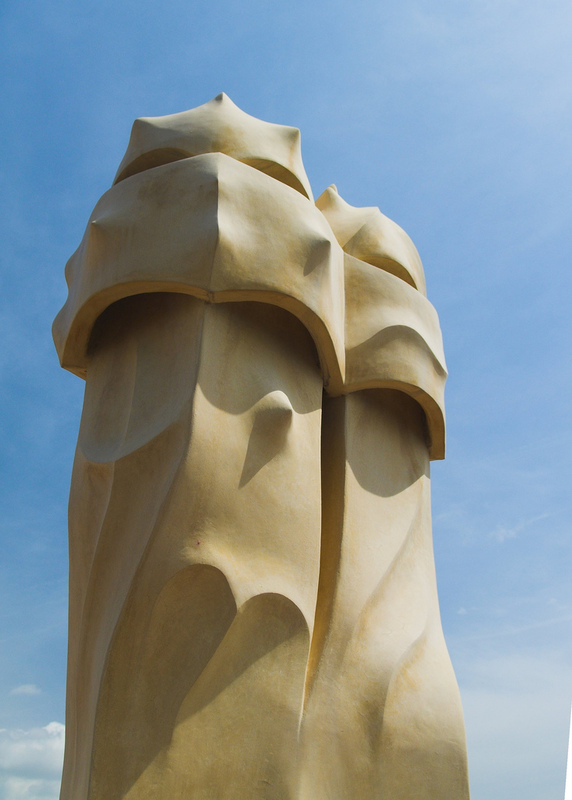 Casa Mila’s phallic chimney pots provided good fodder for a cheap, easy laugh. Photo by piglicker on Flickr. I didn’t get to see most of the other academic performances as I came straight from the airport and only arrived at the interval, but by all accounts they were very entertaining. 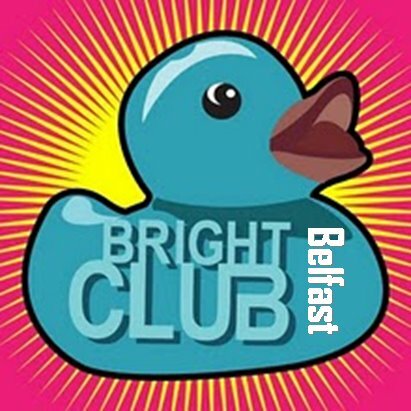 Bright Club Belfast is always on the look-out for performers, so if you fancy yourself as the next Michael McIntyre, or you want to test out your research in front of a new audience, drop them a line. Or come and watch, here in Belfast or at your local Bright Club, wherever that may be. I have to say it was a very enjoyable experience, and provoked me to consider new ways to talk about and present my research. Who knows, maybe I’ll even throw in a joke or two at my next presentation at the Critical Legal Conference in September!